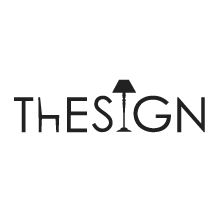 the THESIGN brand During the Fuorisalone 2015, the staff of LOVEThESIGN, the leading Italian home design e-commerce, presented its ThESIGN line internally produced by the company. Thanks to its experience in the field, LOVEThESIGN combines the profound knowledge of the design world with the direct listening of millions of people who, every day, they interface with their portal in search of new ideas of style and furnishing. Although it has not been on the market for decades, LOVEThESIGN & egrave; managed in a few years to become a sort of observatory on online purchases of data; who are looking for users, but not only for those who do not buy or who would like and do not find. Over time they have been able to analyze the purchase preferences, style and more materials; sought after by the end customers, this has allowed him to develop a highly successful commercial strategy. Obviously LOVEThESIGN shares this data, first of all with the partner brands with them they collaborate to the enormous success of e-commerce, but from this careful observation fundamental indications have been distilled to found the innovative internal line of furniture and accessories: ThESIGN. & nbsp; The Rodolfo modular sofa On the occasion of the 2015 Fuorisalone, the first product is presented - a modular sofa prototype of the ThESIGN line: Rodolfo, designed by architect and designer Davide Negri with the aim of giving life to material, the focal vision of furniture that has always been LOVEThESIGN's soul. The Rodolfo modular sofa sold only online, on the e-commerce of the brand. The Milanese company did not; limited only to launch his own line of unique design products, but thanks to his experience in the online sales sector he has developed the most configurator; advanced never before, designed specifically for the purchase of furniture accessories online. This is a truly ambitious project that LOVEThESIGN has turn into reality & agrave; thanks to his skills & agrave; technical-commercial and above all analysis and observation of market buying trends. The configurator, from the complexity really high, which accompanies the user in the purchases of the ThESIGN line & egrave; has been configured in 2 and 3D, to give an absolutely dynamic and innovative shopping experience. You can choose how to compose your Rodolfo modular sofa, selecting the colors, materials and other default options, but it's not in fact, thanks to the latest generation configurator, the user will be able to; compose his sofa with a free interaction that allows him to observe the modules he has chosen, from different angles and perspectives. Be the designers of your sofa ? Perch & eacute; no? With the ThESIGN configurator you can create virtually endless combinations of your Rodolfo sofa in a fast, intuitive and above all a lot of fun! At the base of Rodolfo there are three simple types of modules, each sold separately, but thanks to which you can create eternal seating combinations. You choose whether to stop at a single module suitable for small rooms or to compose several seats, perfect for furnishing large open-space spaces. Rodolfo & egrave; a modern seat, capable of responding to one of the greatest desires of Italian style: the house place par excellence where to spend quality time & agrave; with family and friends, we must always live it, even when we have unexpected guests to be placed comfortably around a table or for the night. To meet this need for conviviality, we need the right furnishing accessories and the Rodolfo modular sofa, becoming a symbol of typical hospitality. all'italiana, that feeling of conviviality & agrave; that is recognized to us by the cultures of the whole world. During the Fuorisalone 2015, the staff of LOVEThESIGN, the leading Italian home design e-commerce, presented its ThESIGN line internally produced by the company. Thanks to its experience in the field, LOVEThESIGN combines the profound knowledge of the design world with the direct listening of millions of people who, every day, they interface with their portal in search of new ideas of style and furnishing. Although it has not been on the market for decades, LOVEThESIGN & egrave; managed in a few years to become a sort of observatory on online purchases of data; who are looking for users, but not only for those who do not buy or who would like and do not find. Over time they have been able to analyze the purchase preferences, style and more materials; sought after by the end customers, this has allowed him to develop a highly successful commercial strategy. Obviously LOVEThESIGN shares this data, first of all with the partner brands with them they collaborate to the enormous success of e-commerce, but from this careful observation fundamental indications have been distilled to found the innovative internal line of furniture and accessories: ThESIGN. On the occasion of the 2015 Fuorisalone, the first product is presented - a modular sofa prototype of the ThESIGN line: Rodolfo, designed by architect and designer Davide Negri with the aim of giving life to material, the focal vision of furniture that has always been LOVEThESIGN's soul. The Rodolfo modular sofa sold only online, on the e-commerce of the brand. The Milanese company did not; limited only to launch his own line of unique design products, but thanks to his experience in the online sales sector he has developed the most configurator; advanced never before, designed specifically for the purchase of furniture accessories online. This is a truly ambitious project that LOVEThESIGN has turn into reality & agrave; thanks to his skills & agrave; technical-commercial and above all analysis and observation of market buying trends. The configurator, from the complexity really high, which accompanies the user in the purchases of the ThESIGN line & egrave; has been configured in 2 and 3D, to give an absolutely dynamic and innovative shopping experience. You can choose how to compose your Rodolfo modular sofa, selecting the colors, materials and other default options, but it's not in fact, thanks to the latest generation configurator, the user will be able to; compose his sofa with a free interaction that allows him to observe the modules he has chosen, from different angles and perspectives. Be the designers of your sofa ? Perch & eacute; no? With the ThESIGN configurator you can create virtually endless combinations of your Rodolfo sofa in a fast, intuitive and above all a lot of fun! At the base of Rodolfo there are three simple types of modules, each sold separately, but thanks to which you can create eternal seating combinations. You choose whether to stop at a single module suitable for small rooms or to compose several seats, perfect for furnishing large open-space spaces. Rodolfo & egrave; a modern seat, capable of responding to one of the greatest desires of Italian style: the house place par excellence where to spend quality time & agrave; with family and friends, we must always live it, even when we have unexpected guests to be placed comfortably around a table or for the night. To meet this need for conviviality, we need the right furnishing accessories and the Rodolfo modular sofa, becoming a symbol of typical hospitality. all'italiana, that feeling of conviviality & agrave; that is recognized to us by the cultures of the whole world.